It's finally time to talk about "Stranger Things 2," from the first scene's failed tease to an ending for the ages. You did it! You saw “Stranger Things 2”! Whether it’s been more than a year of waiting or a matter of minutes (for those who finished Season 1 right before starting in on Season 2), you deserve to take a few moments to bask in the actual experience. All right: deep breath. Think about Dustin’s new ‘do at the Snow Ball. Really concentrate on that first moment you saw those matted curls, slicked back on the sides and primped up on top. Ah, that’s it. So greasy. So silly. So fun. Smile. Deep breath out. OK let’s get to it. Anticipation is all well and good, but there’s something to be said for appreciating what’s in front of you — literally, in this case — and there’s plenty to appreciate about “Stranger Things” Season 2. 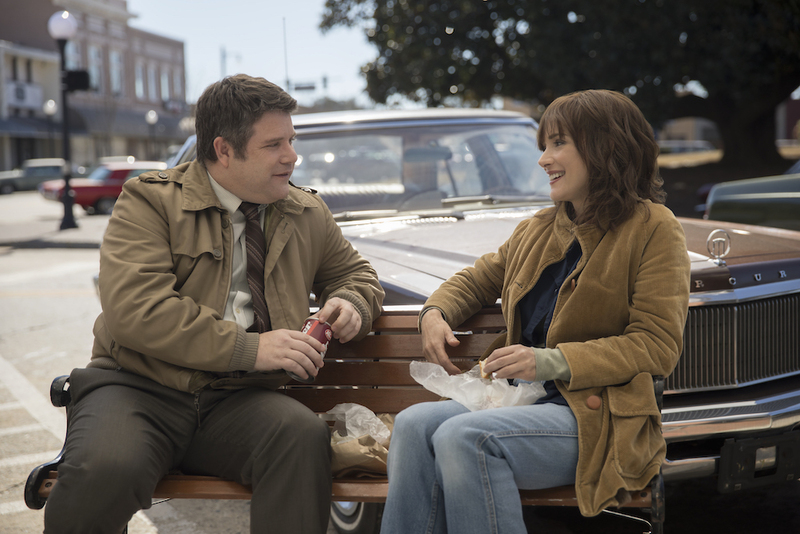 For as problematic as a few plots lines were (looking at you, Nan-athan or Joncy or whatever the wretched couple wants to be called) and one episode in particular (cough, Chapter 7, cough), there are boundless delights in “Stranger Things,” and picking apart the best and worst of a very good season is half the fun of finishing. “Stranger Things 2” started slow. Sometime during Episode 3, viewers probably started to feel the drag, if not consciously recognize an absence of conflict. For a good two-and-a-half hours, it was all setup. Will (Noah Schnapp) is experiencing brief glimpses into the Upside Down, but nothing has actually happened to him yet. Eleven (Millie Bobby Brown) wants to see Mike (Finn Wolfhard), but she hasn’t done anything about it. Dustin’s (Gaten Matarazzo) cute little trash monster is just a cute little trash monster. It’s clear that the season is building toward something, but it’s all tease and no payoff. Then the lights go out, and Season 2 catches fire. While the story started to flow long before the power went out at the laboratory, it was then that “Stranger Things” paid off on everything that came before. All those stories, characters, and threads were leading up to this moment: Will apologizes to his family. Mike realizes what’s going on and runs to warn the scientists. The demodogs pounce, everyone in the lab panics, and the camera cuts away to a pitch-black laboratory. That moment alone is a spine-tingling, cheer-inducing treasure, but before the blackness sets in, the chaos itself is a lot of fun. Waiting for the demodogs to strike is filled with excitement, terror, and anticipation: With the blinking lights tracking movement, rapid gunfire into darkness, and the absolute annihilation of a weaponized government force, the sequence was a direct callback to “Aliens.” All that’s missing is Bill Paxton screaming F-bombs, and we can’t blame the Duffer brothers for leaving that out. What we can blame them for is the additional, largely unnecessary delay between the demodogs climbing out of the ground and the 45-minute break to watch Eleven get her Madonna-meets-“Miami Vice” makeover. Episode 7 breaks up the flow between Chapters 6 and 8 — and has plenty of issues unto itself — but that’s largely a conversation for another time. If you felt the preceding lag or not, the final thrilling two hours made the journey so very worth it. There’s a thrilling escape, a horrific exorcism, and an emotional ending. Eleven’s sister, Eight (Linnea Berthelsen) may not have been worth the long wait to learn her backstory, but she taught Eleven just enough about managing her powers to help her shut the gate, trap the Shadow Monster, and, most importantly, survive it all and get to the Snow Ball; where, one assumes, she got to admire Dustin’s hair. That being said, not everyone got to see Dustin’s magnificent ‘do, and, no, that’s not an allusion to everyone still bingeing “Stranger Things 2.” (Why are you reading this? Go finish!) Season 2 was remarkably tame. Despite a decent body count in Season 1, most main characters survived to see Season 3. Did the Duffer brothers embrace the youth-friendly nature of their work? Were they afraid to kill off another Hawkins resident for fear of a Barb-like backlash? Or did they merely need all these characters for whatever comes next? One thing’s for sure, they don’t need Bob Newby. Played by the affable Sean Astin (a.k.a. everyone’s favorite hobbit sidekick and upstart Indiana football player), Bob had many admirable qualities, but his death was imminent from the get-go, and knowing as much dragged down his storyline.